Photo 096. Prinz Eugen's Stern. Prinz Eugen's Stern. After emergency repairs carried out in Norway due to torpedo damage, the Prinz Eugen was finally ready to sail back to Germany in May 1942. 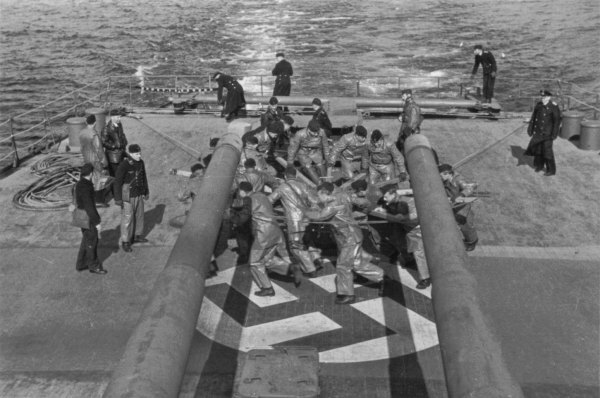 In this photo several crewmembers can be seen operating the temporary jury-rudders that were installed on to the stern transverse bulkhead.